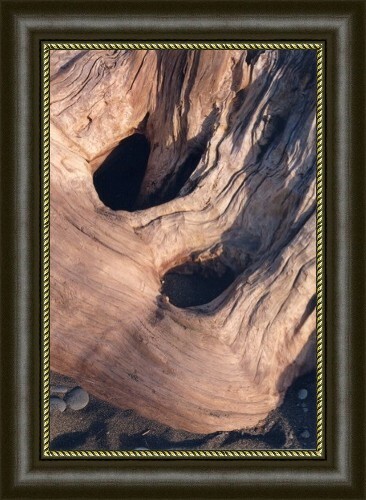 This is a close-up of a section from a thousand year old tree stump that washed up on McVay beach outside of Brookings, Oregon. One walks around this piece of the past, knowing it was here on this earth, and thriving, it was a tremendous tree, spreading its braches somewhere on this earth. Where it came from, the journey it took, who cut it down, and how long it took to wash upon these shores, I don't know. I just appreciate the beauty of it, the age of it and the awesome spectacle it must have been in a storm, making home on this beach. Ancient being, talk to me. Teach me what I must know. reaching so high and and so low. did monkeys swing to and fro? or, of your kind, are you the last?